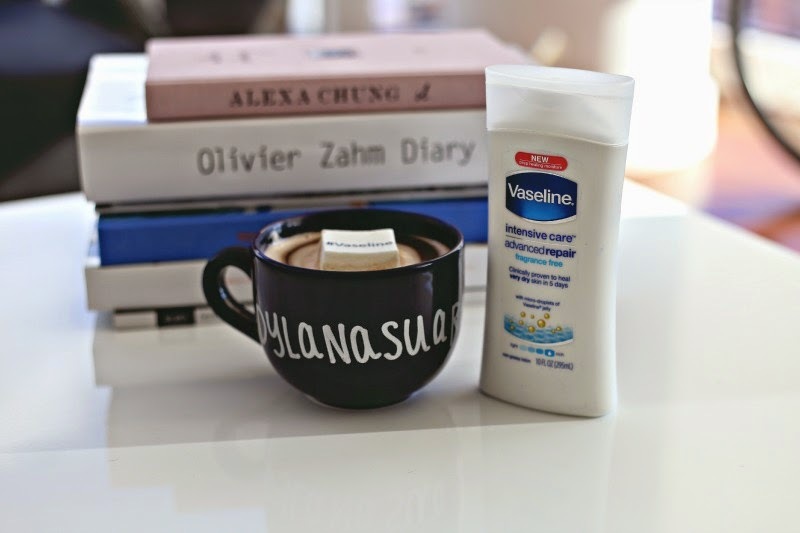 Winter is such a burden on our skin, and especially on someone's as sensitive as mine, which is why I'm getting a head start on prepping my skin for the polar months ahead of us. I grew up with my mother preaching me the positive effects of moisturizing in the winter time, if not all the time! And Vaseline® was always in the bathroom cabinet in our household. It still is! 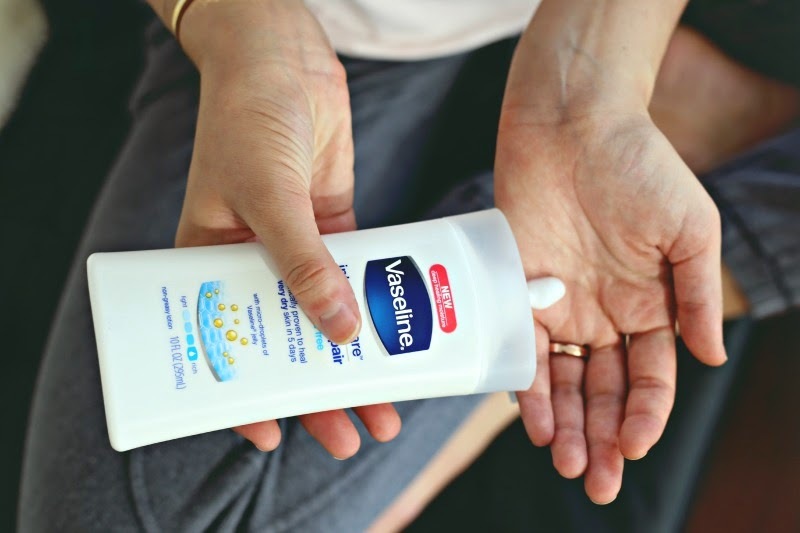 And it still works its magic just as well as it did back in the day, but actually even better thanks to Vaseline® Intensive CareTM - a range of lotions that go beyond basic moisturization to deeply moisturize to heal dry skin. The new line is made up of a very special blend of humectants (to draw water into the skin), and healing micro-droplets of Vaseline® Jelly (to lock moisture in). Like original Vaseline® Jelly, these micro-droplets are highly refined, and 100% pure. Together, the humectants and Vaseline® Jelly micro-droplets in the lotions work to deliver a range of moisturization needs. I personally prefer the Intensive CareTM Advanced Repair Fragrance Free because I can actually feel it working as soon as I apply it, and my skin feels soft and supple for a long time afterwards. And I go for Fragrance Free because I can make sure that irritation won't be a problem at all. Winter is already rough. We don't need anything else to make it any rougher. 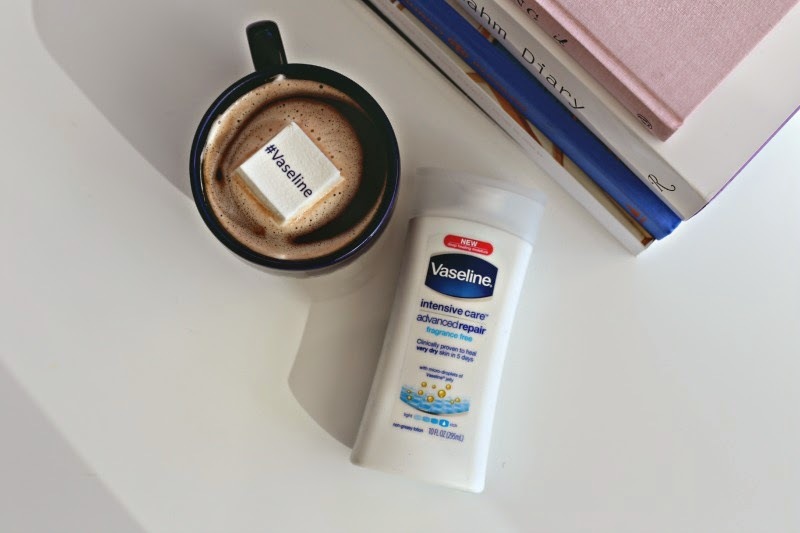 Vaseline® Intensive CareTM will make sure that isn't a problem. That and a hot cup of cocoa, of course! Lovely blog! I like your cozy outfit, you're so pretty! This product sounds really great! i love your comfy outfit!